The Team of Choice were on the receiving end of a 1-0 defeat to a Moroka Swallows side desperate to ensure their PSL survival. It was former Maritzburg winger Felix Obada that proved to be the difference with the only goal of the game at Dobsonville on Friday evening. Kurt Lentjies went close for the Team of Choice in the opening stages with a shot that just missed the mark. Obada netted after only five minutes when he headed home from Shere Lekogothane's cross. 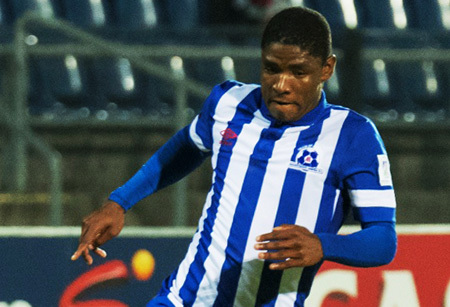 Siyabonga Nomvethe had a great opportunity to double Swallows' lead on 18 minutes when went through on goal, but he failed to beat Shu-aib Walters in a one-on-one. Maritzburg then went on the put the Swallows defence under severe pressure towards the end of the first half with Birds keeper Greg Eatafia a busy man as he made a series of saves, including two in quick succession from Mondli Cele. Chances continued for both sides after the break as Rudi Isaacs headed wide for Swallows, while Mohau Mokate missed a chance for Maritzburg. Lantshene Phalane shot wide for the hosts before Mohammed Anas went wide from range and then Etafia denied Deolin Mekoa as the match continued to provide plenty of goalmouth action without the scoreline being altered.